So many things are out of reach as well as out of our ability to control, but our behavior, that’s not one of those things. When we are choosing joy, we need to realize that what we say, think, do as well as how we treat ourselves matters. If it matters to you, then it matters to God. He cares. Kay tells us that “Unresolved emotional pain and brokenness can make choosing joy on a daily basis challenging” and that we need to take care of ourselves. Choosing joy is not always easy and sometimes can be most difficult, but it is possible to do so and to choose joy daily. Look for a Joy Mentor – find someone who is more than just a happy personality, but rather a sister that will find joy in the tears, God in the ordinary and is thankful for the perfect will of God even though it is painful. Release the little girl in you to experience unbridled joy. I love that she calls children “joy factories,” as they truly do just soak up the precious moments surrounding them. Avoid Small Potatoes – I often remind people that it’s the little things that make life big. While completely true, it’s also the little things that steal your joy. Traffic, spat with family, flat tires, things not going the way as planned, etc. Joy thieves are waiting in each instance of your day for one purpose…to steal your joy. You get to choose if you hand it over willingly or not. Choose wisely. Rediscover Pleasure – I often talk about ordinary joy and the hidden treasures in our day to day life. I tease my boss sometimes by saying “I want it all and I want it wrapped” but truth is, we do want the best of the best and often miss the greatest joys in the most ordinary of things. The feeling of stomping through puddles, the giggles of joy when romping through grass, the cheesy look of the full moon as he lights up the darkest night. When you open your eyes to see the treasures in the ordinary, they quickly become priceless treasures. Express Affection Extravagantly – I’m a hugger. When you meet me, you’ll likely get a hug, huge smile and hearty hello. Many people can barely make eye contact, much less express affection in this manner. I challenge you to step out of your comfort zone when in public this week and smile bigger, greet others with a warm handshake or if circumstances allow it a warm hug. You’ll be amazed at what it does for YOUR heart. Practice Gratitude – Even if we are never blessed with another “great thing” we can always be grateful for our home in heaven, the amazing grace of God and His never ending mercy. There is always something to be thankful for. Question is, will you see it during the storm that rages? Will you see it in the ordinary? Will you be looking for it? When you are thinking about all the great things that surround you, you will be thankful. Live in the Moment – I love those precious moments where joy just bursts into your heart from the most unexpected places! Trouble is, we want to live there all the time. If we were to never experience pain or sorrow, we could never truly experience great joy. Stop looking at the trouble you are enduring and focus on the priceless moments of joy and blessings. If your sorrows are so great, grief so heavy and burdens are so deep, then take time each day to focus on the blessings of heaven, amazing grace and God’s great mercy by way of the gift of the cross. Live in that, even when the storm is raging. Find the Blessing in the Mess – Have you ever watched a child play in the rain, mud or even finger paint? Have you just quietly observed their smile and laughter or do you see just the mess they are making? Inside of every mess we get ourselves into, or the ones that seem to sneak up on us, there IS a blessing. I have no clue what it could be, but seek it out! Look for it! If you never find the blessing in the mess, then trust God to work it out for your good. Passing the JOY on – Our tag line at Spreading Joy Corporation is “There’s no joy like spreading joy.” There simply isn’t. 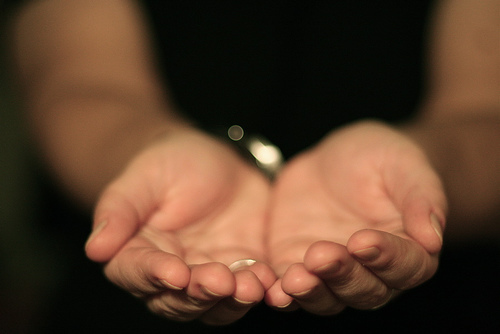 If you want joy to be at your very core, then “give.” If you want to have joy flooding your heart each day, then “do.” If you want joy to be a way of life, then “serve.” Don’t think about how you’ll be thanked, who will see, how much value your act of joy is worth, just do it. Create JOY, Cause JOY and Spread JOY while you are choosing JOY! Thank you for allowing me the honor of leading this Bible Study. Thank you for the desire to be men and women of joy! How can you choose joy daily? What does the Lord is your strength mean to you? Welcome to another week of Choosing Joy. This week we’ve taken a deep look into our own heart and mind. If we are honest, it’s not always pretty there is it? I love the verses found in 1 Thes 5:16-18 because they are crucial to the heart that desires true joy. They tell us to rejoice evermore, pray without ceasing and in everything give thanks! This starts with determination. We must decide “do do” this because we are certainly not going to be “feeling” this. 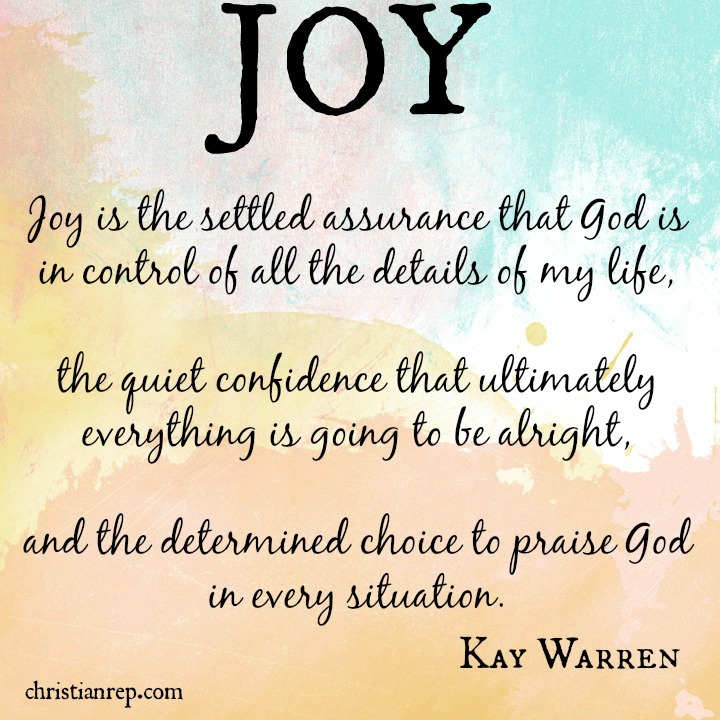 Kay reminds us that “joy begins in the mind” and is ultimately how we respond to life. So many things bring us great joy but those things can and sometimes will bring great sorrow. People – The very same people that bring you the greatest joy will one day bring you more tears than you ever imagined. We are all human and we will disappoint…it’s just a matter of time. Places – Not every place we travel to or explore will bring us the joy we thought it would. Sometimes, it simply isn’t all our heart imagines. Possessions – Keep in mind just how miserable the “Hollywood” crowd often is. They have the nicest of things, shop in the greatest stores but often swim in great misery and pain. Positions – In this day and age, positions come and go. Many who hold this as a source of joy will often find themselves discouraged. Personality – Shy, awkward and backwards people can have just as much joy as the most outgoing extrovert you’ve ever met. The good and the bad go hand in hand. Joy and sorrow are right there in the midst of all of these situations and it is our choice to let go of the high expectations of perfection and greatness that keep us pinned down and often miserable. When we realize one fundamental thing, we’ll be able to start seeing and choosing joy in nearly everything. JOY is in our heart, simply because Jesus is there. When we look at the everyday with the knowledge that Jesus is in control, Romans 8:29, Jeremiah 29:11 and Eph 2:10 still hold true and that our hope is in the One who spoke this world into existence, then joy will not be as elusive as it once was. Have you ever really considered that Gods Will can be painful? I have, but this year it has hit home more than ever. As a mom, I treasure my children and want the best for them. My son is currently in the middle of God’s will, serving and seeking where God will use him as a Youth Pastor. You think…wow, that is wonderful Marie! Congratulations! And it IS wonderful….but at the same time, painful. This year will be his last year in college and the pain comes in that I simply miss him. I miss the hugs, the laughter, the jokes, and the silliness. I miss his serious when necessary side. I miss him. But this IS God’s will for him and there isn’t a single day that goes by that I’m not thankful for him being where he is. Sometimes a period of darkness is God’s will for us as well. I’ve been there. It’s difficult, scary and we wonder if we’ll ever make it through. But we do and we are never alone. I wrote an article a while back about peering into the darkness and what we see there. What do we typically see in the darkness? And I literally could go on and on because “SEEING” the negative is so much easier than seeing the positive in every situation. We forget that our darkness is another way for our Lord and Savior to remind us that HE Lives! He lives in our darkness along side of us! It is a natural thing to fear the darkness and takes work to get to a place where we can see God there. But like Kay tells us, it starts in the mind…. 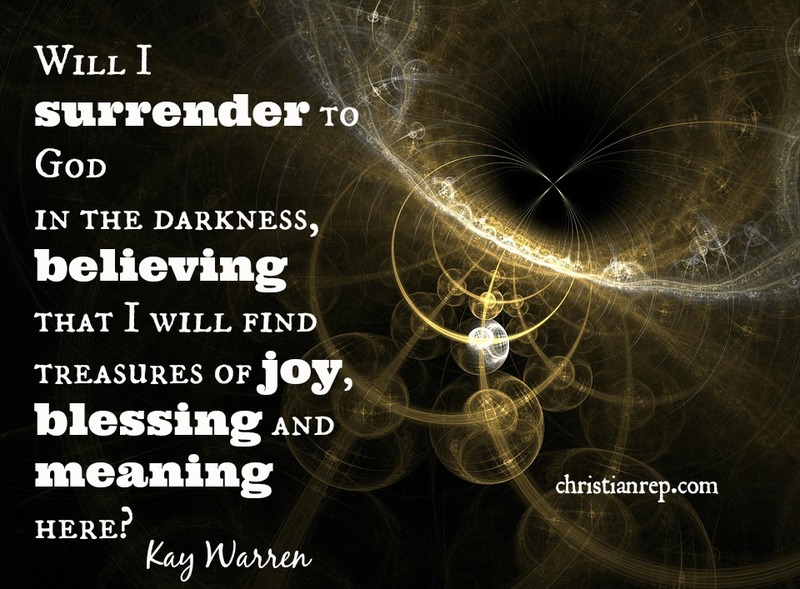 Will you surrender to God in the Darkness? Will you believe that you will find treasures of joy, blessings and meaning there? Will you cling to God’s promise that HE will never leave you, even when you feel completely alone? My daughter spent 5 years fighting a painful battle – Gastroparesis. Her stomach was paralyzed. She experienced flu symptoms every time she ate. Take your worst stomach flu, the cramping, the pain and aches and the vomiting and when she eats, that is what was happening. She had about a year where she only had the pain and she celebrated that! She loved that she could eat without the vomiting and pushed past the pain and just enjoyed each day. Then out of nowhere it returned. We now know that when she is under extreme emotional distress her stomach muscles will stop working and she can only drink liquids. Will she use this pain to fuel her passion for the Lord? I don’t know. She trusts Him, she still lives and serves the Lord but all of this is hard for me to process, much less a (then) 17 year old mind. I don’t know what God has in store for her, but I do know that HE is in control and I trust Him. My prayer for you is that you’ll look for the good in the bad, the light in the dark and God’s hand in everything. Treasure the beauty in the ordinary and the little things in life that make it big! Dwell on this – What are some of the little things in your life that make it big? Do you treasure them? Remember, I’ve got JOY in my heart, because that is where Jesus lives! Think about a time of deep sorrow in your life, one that has passed. What treasure did you find? “God values character over comfort, faith over fear, mercy over judgment, justice over injustice, people over possessions, truth over falsehood, humility over pride, hope over despair, love over apathy.” Where did you see the value system of heaven in your life? 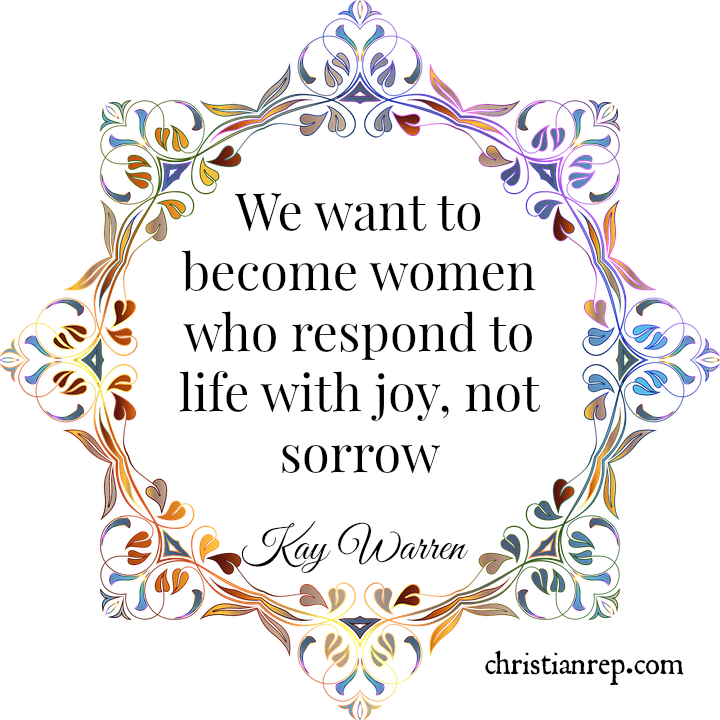 What false sources of joy trap you? Is it people, places, possessions, positions or personality? What would it take for someone to describe you as a woman of joy? 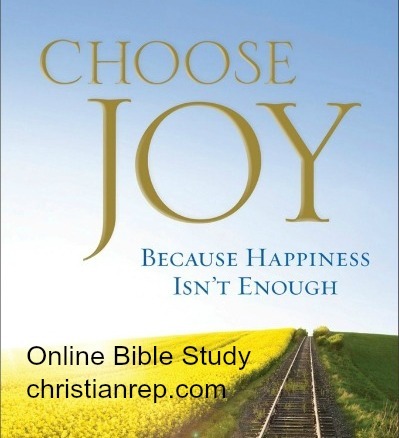 I’m personally inviting you to this Choose Joy Bible Study. If you don’t have the book, I encourage you to hop on Amazon and get a copy or head over to your local Christian Bookstore and grab one there. I’m so excited about this 4 Week Bible Study! Joy doesn’t come easy for many of us and with the issues that we face daily, sometimes we wonder if we’ll ever see/feel or have joy again. The truth of the matter is that we can, and on a daily basis. 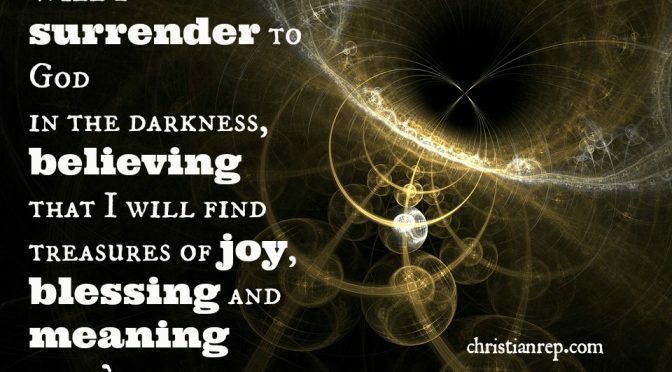 Choosing joy is possible, regardless of darkness that seems to surround you. It is my desire that as we go through this study together you’ll not only choose joy but that you’ll daily display that the JOY of the Lord is YOUR strength! Neh 8:10. I know how painful day after day of troubles and trials are. I know just how frightful and discouraging life’s issues are. I know firsthand financial troubles, health issues with children and how the sting of unemployment affects families. I know the loneliness and fear that can consume your heart during those times of complete darkness and sorrow. I know how tightly discouragement holds on to you, rendering you powerless to even lift your head sometimes. I know the pain and grief of families being torn apart and loved ones dying, never to hear their sweet voices or see their precious smile again. I know how guilt and shame leaving you feeling like you have no right to blessings. I know how the pain of any situation is enhanced when night falls and the silence of darkness surrounds you. I also KNOW the ONE who is right beside me as I’m struggling to choose joy and trust His will! As I’m traveling through the darkness, HE doesn’t mind living there to protect me, to strengthen me and to guide me. Our darkest days are no surprise to HIM. Our tears of pain, aches of discouragement and feelings of failure are no surprise to Him. Our anger and questions screamed at the top of our hearts because we simply don’t understand does not cause Him to worry or wonder what will happen. I know how choosing joy through all of that is possible! It’s not us it is HIM. Can you imagine how your heart will be swimming in true joy, even when you wonder just how things will work out at all? Can you imagine the joy that others around you will experience, because joy is highly contagious? Can you imagine living a life of joy, simply because you choose to? And we know that we can do all things through Christ. Phil 4:13. Each week there will be a pdf to download with a Memory verse and some open questions to get your heart focused on Choosing Joy. Let’s strengthen our resolve by studying this together and choosing joy together. Can’t wait to see you and study this with you. Dive right in and choose joy! The words of a commentary come to mind this morning as I start my day, “The best word to describe someone who has not trusted Christ as savior is ‘without. '” It’s part of a commentary on the book of Ephesians. As those words came to me early this morning I thought, what would be on the list of the things that someone would be without? 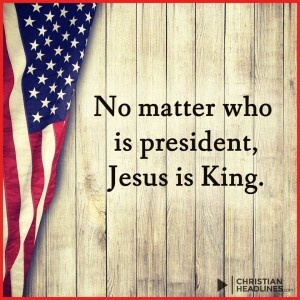 What is the man or woman missing if they don’t trust Christ?